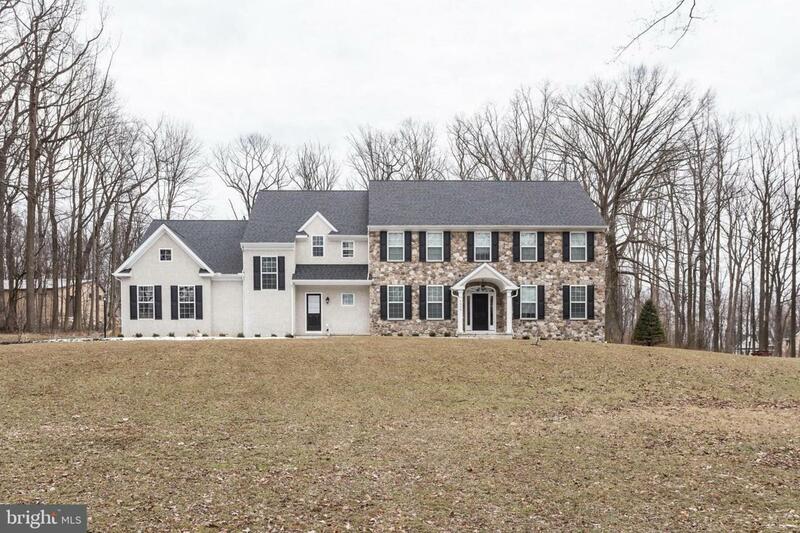 Set far back from the road, down a very long tree-lined drive, this stately almost new construction colonial is enveloped by trees and natural beauty, and nestled on 1.83 acres of quiet, picturesque grounds close to every amenity. Beautiful stone, classic shutters and graceful lines define the inviting exterior, with stretching lawn fronting and backing this elegant home. A 3-car garage receives your vehicles, and an inviting covered front entrance welcomes you in. The wonderful formal floorplan you~ll encounter inside is spacious, open and comfortable. 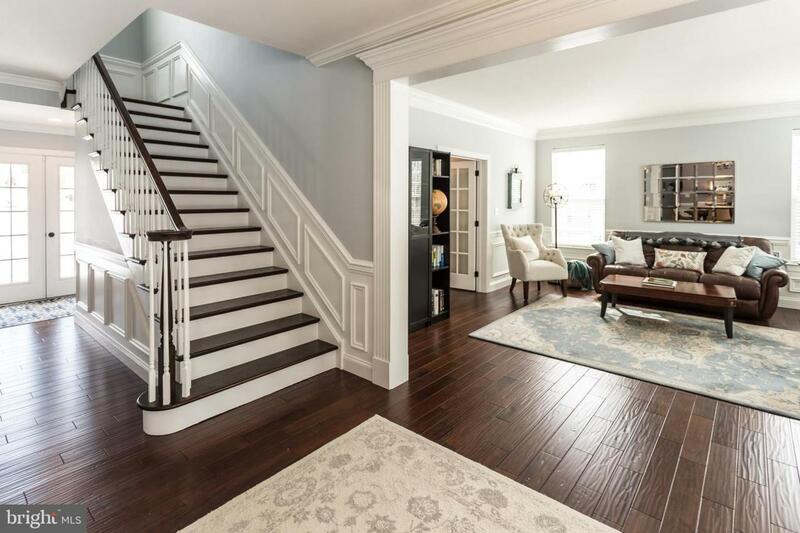 A foyer bathed in natural light gives way to a large living room at right where you~ll love to entertain, with doors to an office/study for more private times. Left of the foyer is the lovely dining room awaiting to accommodate your guests for unforgettable sit-down meals. Connecting is a butler~s pantry for effortless serving and a gourmet kitchen, with a convenient rear hall mudroom, powder room and garage access right nearby. The cook will be inspired in the modern chef~s kitchen, fully equipped with upgraded appliances, 2 separate sinks, generous granite countertops and island for prepping, plus a sunny breakfast room for sharing morning coffee. The adjacent open family room with a fireplace is a perfect gathering spot.On the upper level sit 4 well-sized bedrooms, 3 full bathrooms, and a bonus room that can serve as a guest room or any other purpose. The sprawling backyard is beautiful and open, ideal for kids and pets to romp and play, and awaits your customization to make it your own oasis. 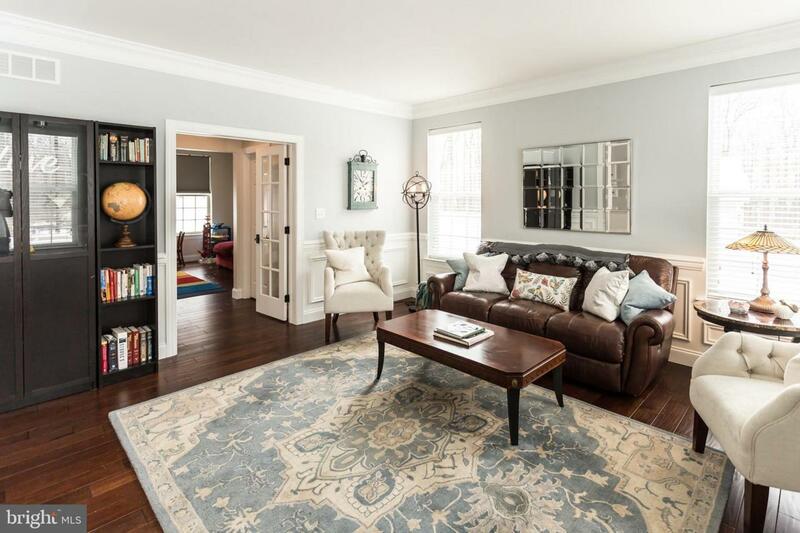 Enjoy a delightful peaceful, private setting, minutes from a wealth of convenience. 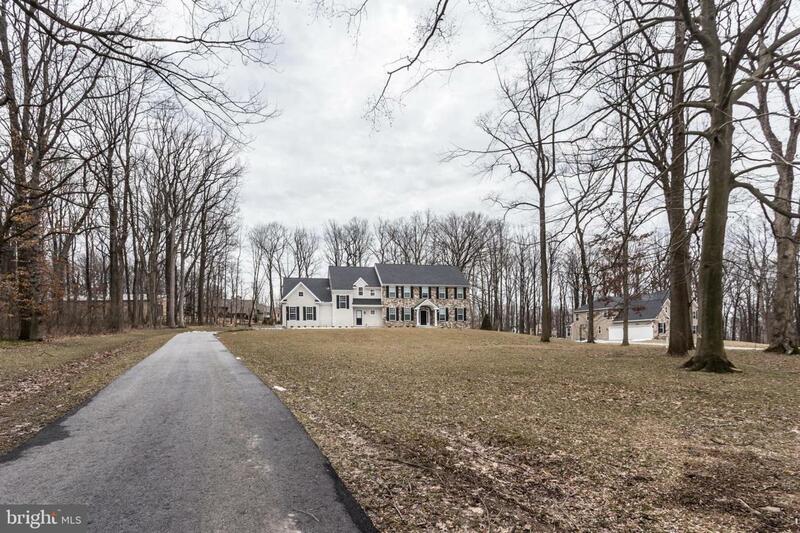 This residence is situated in a very desirable section of Malvern, in the award-winning Valley school system. The prime location is also super close to restaurants, shopping, Wegman~s market, not to mention major routes like Rt. 76, 202 and the Turnpike, affording easy access to 476 and other towns as well as downtown Philadelphia!